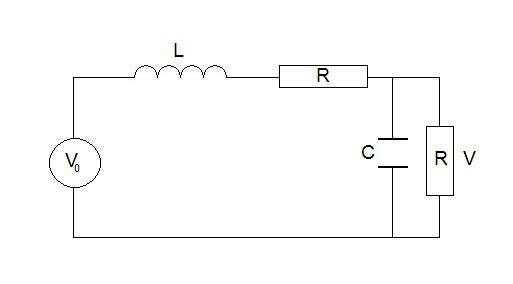 V represents the voltage drop across the parallel combination of the capacitor (C) and resistor (R). Find the differential equation that V obeys in terms of $V_0$ and its derivatives. Make up some realistic constants for a capacitor. Can you solve the resulting differential equation? Forces. 1st and 2nd order linear differential equations with constant coefficients. Engineering. Real world. Chemistry. Physics. Investigations. Mathematical modelling. Logic. Rigid Bodies.